The artist has received numerous awards and honors from many international, national and regional juried art competitions. An elected Signature Member of the Pastel Society of America and Master Member of the Great Lakes Plein Air Painters Association. He travels, paints ‘en plein air’ and teaches throughout the U.S., Canada and Europe. 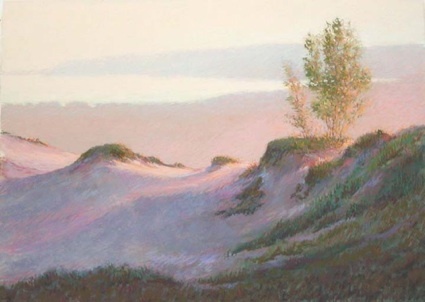 Is the inventor of the Jim Markle Pastel Easelbox for location painting and Great American Art Works, a manufacturer of pastels, markets a “Jim Markle North American Landscape” set of pastels.